We are a passionate group of developers dedicated to helping you build a great website for your business (or hobby). Soholaunch.com, Inc. (Small Office Home Office — Launch) was founded in 1999 to help small businesses create and manage their own websites (on a budget). We wanted to give small businesses a "web developer in a box," and more than ten years later, we've given over 200,000 small businesses exactly that. A Georgia native, Cameron oversees all things technical at Soholaunch, including product development, server management, product security, technical support, and management of day-to-day technical operations. Prior to joining Soholaunch in 2004 he studied at the University of Colorado at Boulder, and claims to have founded and run multiple fortune 500 companies in his past life. Cameron loves solving problems and learning about technology; he enjoys going on adventures with his wife and their sheepdog in his free time, and is an avid Atlanta Braves fan. Mike joined Soholaunch in 2001 after a lengthy and highly-educational internship at one of Atlanta's top web development firms. Mike is passionate about design, usablity, and keeping up with the latest web technologies. 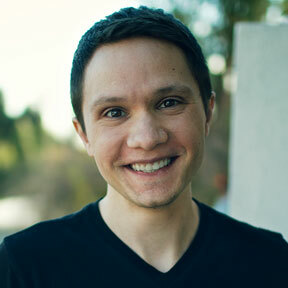 In his free time, Mike enjoys studying Psychology at Georgia State University and writing for his two blogs. Jack is the newest addition to Soholaunch and joined the company right after his graduation from Kennesaw State University in 2011. He helps with marketing, copy writing, and customer support. He has both communication and technical skills that make him a useful talent, and enjoys hiking and reading during his down time. Figuring out challenges is one of Jack's strong points as he applies his ideas to satisfy customers and grow Soholaunch's brand. Ellie, the youngest team member, started her tenure at Soholaunch in 2011 when she was just 10 weeks old. This hard-working sheepdog always comes to work energized and makes sure to greet everyone in the office upon arrival. She spends most of her day chewing bones and checking on staff members when the office gets too quiet. Ellie's attention doesn't stay on tasks for long, so she is always ready for new challenges. The team, with the exception of Mike, enjoys the constant affection that this lick-happy, shaggy sheepdog imparts. (Mike has filed several harassment complaints with HR against Ellie for excessive licking). As Soholaunch's late co-founder, Jim helped to begin Soholaunch as a solution for small businesses to create and control their Internet presence quickly, reliably, and affordably. The idea came as the result of his problem solving attempts while using e-commerce in the late 1990s coupled with study at Georgia State University in the field of Decision Science (statistical analysis and computer modeling). The wide distribution and adoption of Soholaunch confirms this was a problem that needed solving! In addition to helping Soholaunch grow Jim supported local literacy programs, was in Rotary, and enjoyed time at the lake and with his family (wife and two adult children). Tom's mission at Soholaunch was whatever the day called for in creating customer satisfaction. His duties included product education (Webinars), project management, legacy customer relations, operational management, special projects and general firefighter when problems arose. He also fulfilled responsibilities in Marketing and Public Relations. Tom was the resident expert on the use of the Soholaunch product, as he was one of Soholaunch's first customers ten years ago. He brought a broad depth of business acumen to the Soholaunch team having served as CEO of his own company for almost twenty years before coming to Soholaunch. He lived with one roommate, "Guinness the Wonder Cat", and when time and finances allowed Tom was happiest pursuing his favorite sport of tag and release big game fishing for marlin.